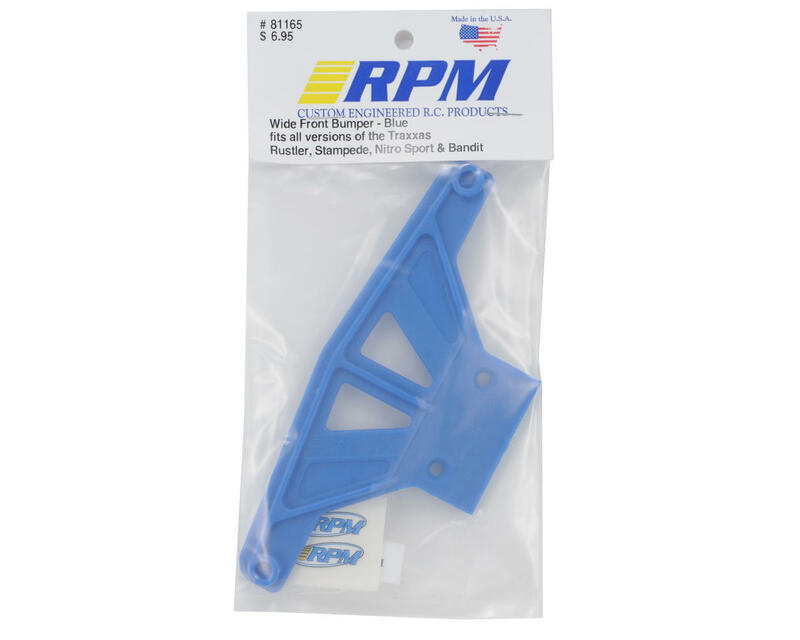 This is an optional RPM Wide Front Bumper, and is intended for use with the Traxxas Rustler, Stampede and Bandit 1/10 scale vehicles. 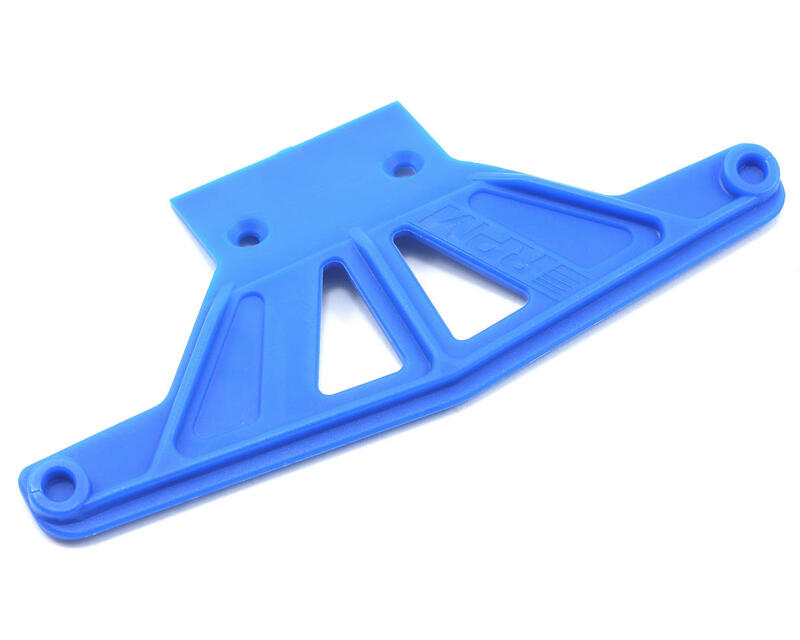 Give that Traxxas Nitro or Electric Rustler, Stampede, Nitro Sport or Bandit added protection with the RPM wide front bumper. This bumper stands six inches wide and adds an extra 1-1/2" worth of bulletproof, RPM protection to the front end of the vehicle. RPM designed this bumper with the backyard basher in mind by making it with our guaranteed unbreakable blend of nylons and is molded in black to give it that stock-looking appearance, or in optional blue for a more contrasting appearance. These bumpers will help reduce front end damage during head on collisions with curbs, trees, etc.! Nothing surpasses the protection gained when your Traxxas vehicle is protected with an RPM wide front bumper! I have a Stampede VXL and I run into stuff a lot!! This bumper is flexible yet strong and will absorb every impact it is faced with! I love it! Looks good, works great! It really protects the front of your Bandit over the stock 'bumper' and more importantly protects your A arms and front bulkhead... worth every penny! !